Prema Shanti is a name we created, which, in Sanskrit means "heaven-sent love and inner peace". Thanks to the cooperation of people who are following traditional processes and farming techniques, we are able to offer you exceptional products. These reflect both the original quality of Japanese food and Japan itself as a beautiful country with four seasons. 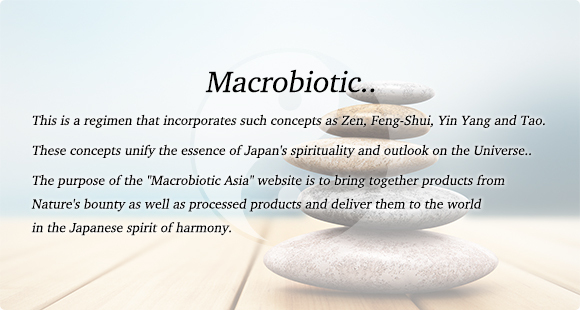 Good for the spirit and the body, our food products create "heaven-sent love and inner peace". 3. A combination of the above two methods. In order to ensure the safety characteristics of each producer, it is important to assess their quality control. This includes a variety of factors, such as confirmation of the safety of specific growing environments and production plants; residue inspection systems or bacteria management, and measures to prevent contamination by foreign substances. We believe that artificial radioactivity measuring is a significant factor in quality control. Ultimately, selecting products that we are proud to give to children remains the most important quality control standard of our company.